The coupling of John Lewis, the king of chamber jazz music, as a composer and arranger with The Jazztet in 1958 wasn’t as strange as it looked on the surface. Although co-leaders Benny Golson and Art Farmer lead a cookin’ hard bop ensemble, it was acknowledged for its elegant tunes and meticulous arrangements. The smart arrangements of Lewis fit The Jazztet like a glove. Yet I’m sure that Lewis had not foreseen that the group would deliver the hardest swinging version of Django ever put on wax. Lewis, the leader of the amazingly popular Modern Jazz Quartet, always had to tolerate a lot of vitriol. Jazz policemen condemned the group’s stiff concert hall appearances, deeming their hybrid of jazz, classical and third stream music unappropriate, often meaning decidedly ‘unblack’. They hated to see Lewis put the ball and chain on vibraphonist Milt Jackson, who was supposedly bereft of his sparkling blues playing. If you’re as controversial as John Lewis, you’re bound to be at the right track. Things were not that simple in the real world, outside policing dreamland. Charles Mingus worked with the ‘suite’-concept regularly. Bud Powell played and incorporated Bach. Many hard boppers had received thorough formal training. And in spite of their classical approach, the elaborate themes of Lewis and pristine solo’s of Jackson revealed their firm roots in bebop and blues. 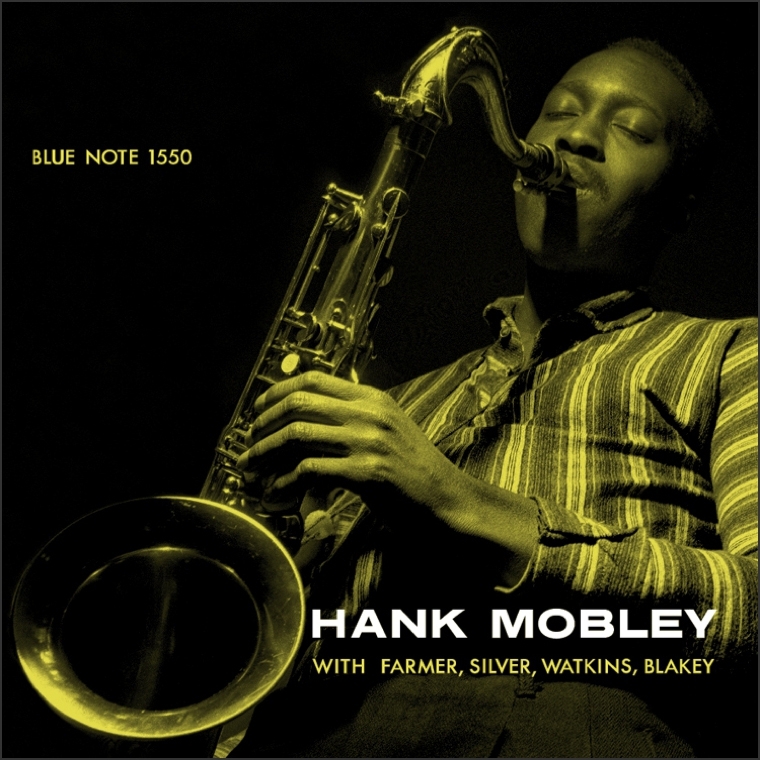 Hank Mobley’s my main man but is that a reason to put the lid on MJQ? Of course not. My doctor advised me to take it in small doses, though. I once tried to spin MJQ albums back to back while working nine to five at home, but around 2 o’clock I started suffering from an annoying itch all over my body and a mildly disconcerting shudder of the pancreas. All tunes except Bel were from the MJQ book. 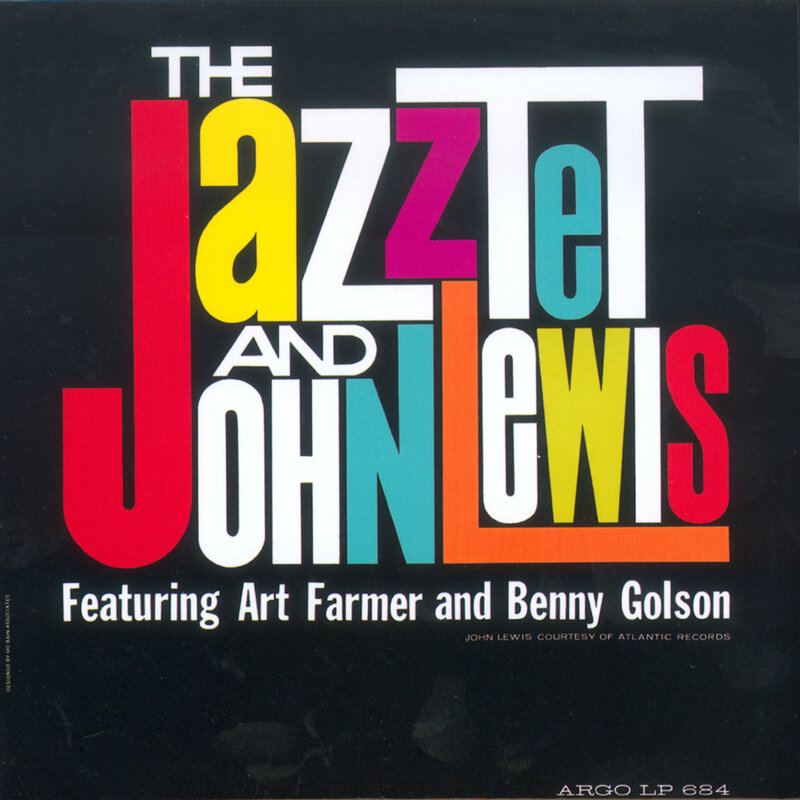 Lewis wrote Bel especially for The Jazztet And John Lewis. It’s a sweeping opening statement, consisting of a theme of staccato horn stabs that work like melodious claxons: here’s The Jazztet! The three-horn line-up sounds tremendously powerful. Its propulsive, brassy interludes coupled with the cracklin’ rolls by Albert ‘Tootie’ Heath catapult the soloists into fervent motion. Django has the same virile, robust edge. It’s taken at a faster tempo than usual, and it’s pandemonium from there. The great asset of Django beside the glorious melody – the tension-release section – is played out by the group to full effect, inspiring Golson and Farmer to the core. It seems Farmer can’t wait as he enthousiastically announces himself at the end of Golson’s solo, weaving in and out of Golson’s sublime, understated swinging statements before his own swift, suave contribution. Another immaculate solo is by Cedar Walton, who plays very fluently in a bag that suggests the influence of both Bud Powell and Bill Evans. Pastoral tunes like Milano and New York 19 benefit from the warm, breathy sound of Golson and the lyrical style of Farmer. They’ve got plenty of serene background harmony to work with. Odds Against Tomorrow, a composition that Lewis wrote for the movie of the same name (a Robert Wise crime flick from 1959 starring Harry Belafonte), is typical MJQ. Its slow, melancholy introduction, held together by a can’t-get-out-of-your-head four note figure, fugues into an effortlessly swinging, Ellingtonian mid-tempo movement, buoyantly introduced by Art Farmer. The tune returns to a slow outro, leaving us bucked and satiated. Lewis’ stylish blues tune, 2 Degrees East, 3 Degrees West, is the right material for The Jazztet. Golson tackles the mid-tempo groove with flurries of glorious, off-centre notes. Trombonist Tom McIntosh (a fine arranger in his own right), less virtuosic and imaginative than his forerunner in the Jazztet, Curtis Fuller, contributes a more swing-type solo with an attractive, round, soothing tone. Musically, it’s a superb album. Production-wise, it’s splendid as well. My copy is on the Dutch Funkler label, released in the same year as the Prestige original. The overall sound is sprightly and upfront. The fat, ‘together’ sound of drums and bass is a gas. Tommy Nola and Kay Norton of Nola’s Sound Studio in NYC did an outstanding job. John Lewis and The Jazztet did an outstanding job, upping the ante as far as bringing swing to thoroughly written-out material is concerned. Benny Golson’s extraordinary writing skills often overshadow his gifts as a tenor saxophonist. 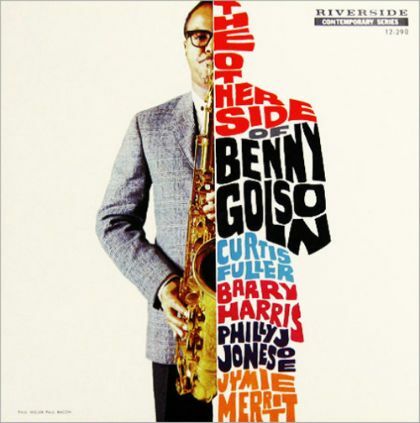 As early as 1958, Riverside considered this fact and chose to highlight his tenor work naming Golson’s third album The Other Side Of Benny Golson. Not surprisingly though, the compositions are killer bee as well. Two birds killed by one stone. The significance of Golson, who turned 87 on January 27, can’t be overstated. Having learned the trade from pianist and renowned tunesmith Tadd Dameron in the early fifties, Golson developed into a striking composer. Many of Golson’s compositions became standards: I Remember Clifford, Stablemates, Killer Joe, Along Came Betty, Blues March. The latter two ended up on Art Blakey And The Jazz Messengers’ classic album Moanin’. Golson, beside playing tenor, organised that band, creating a line-up of Philadelphia pals including future trumpet star Lee Morgan. He streamlined Blakey’s profile and business and as such formed the blueprint of succes for the fledgling Art Blakey. Golson’ Jazztet (Personel varied apart from key member Art Farmer; the quintessential line-up included Curtis Fuller) broadened the jazz horizon with sophisticated yet swinging stuff. They re-united in 1982. By then, Golson had been off the jazz scene for nearly 15 years. Following the footsteps of Quincy Jones and J.J. Johnson, Golson spent the latter part of the sixties as well as the seventies in Hollywood, scoring films and series. Elegant compositions, fascinating voicings, surging but also quaintly cerebral lines: pure Benny Golson. It’s all there on The Other Side Of Benny Golson, the first recorded collaboration between Golson and Curtis Fuller. Golson sounds simultaneously smooth and gutsy and has a way of choosing interesting, odd notes all the time, cooking in understated fashion. For all his inventive composing and blowing, both feet of Golson stand firmly in the soil of tradition. The breathy sound that Golson displays, notably in his original ballad Cry A Blue Tear, reflects his admiration for swing giants like Ben Webster. Golson’s phrasing would’ve been an asset in Ellington’s orchestra. 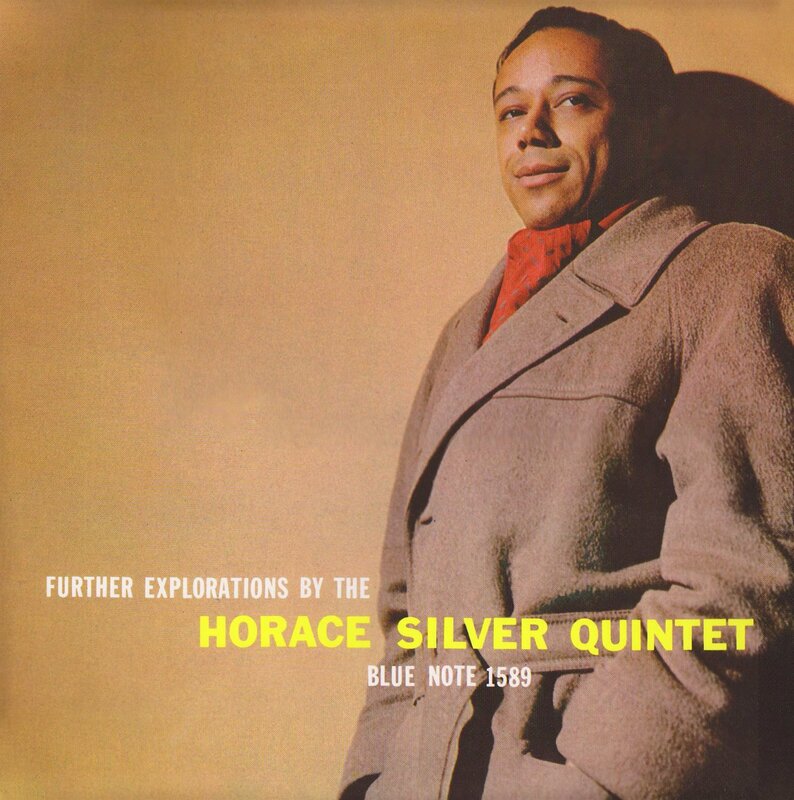 The beautiful, often dreamy colors that Golson creates with the intriguing tenor-trombone combination account for much of the enjoyment of this album. Fuller smoothly weaves in and out of the theme of Are You Real?, another instant classic of Golson. How Golson cooks in his own way is evident in Strut Time, a lively stop-time tune in which Golson continually stacks one canny idea upon the other. Original stuff. Symptoms is an equally alluring melody, the musical equivalent of fog that hangs over a lake at the dawn’s early light. It includes a poetic trombone solo by Curtis Fuller. Then Golson opts for a contrast, stoking up the fire with fast flurries of notes, elements that Golson incorporates matter-of-factly into his sophisticated style as a tenorist.